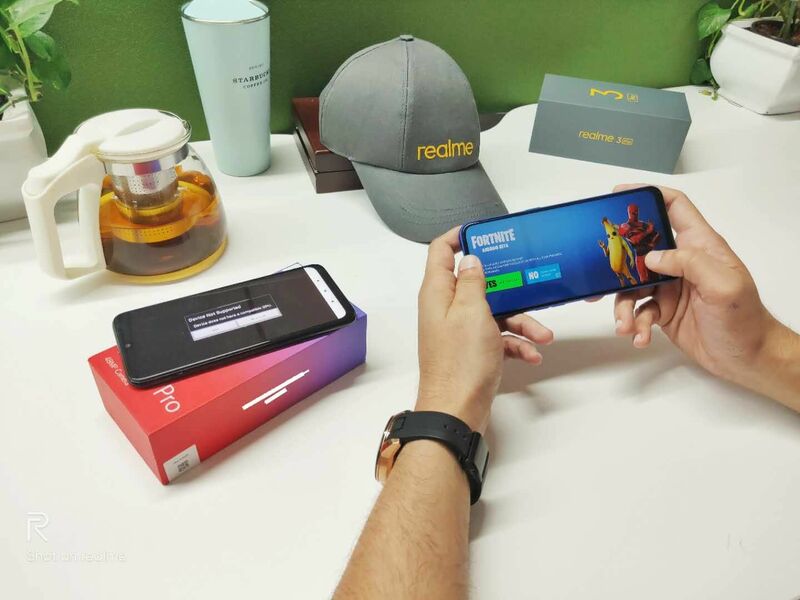 Realme is all set to take on the current best smartphone under Rs 15,000 in India, the Redmi Note 7 Pro. The Realme 3 Pro is launching this month, and today, the company revealed the official launch date. So, Aprill 22nd it is! The launch would take place at Delhi University at 12:30 PM. A couple of days back, the CEO, Madhav Sheth, shared a few camera samples from the phone’s cameras and today, he shared another image of the phone which shows Fornite running on it. The image shows that there is an edge-to-edge display with a noticeable bottom chin. As per the previous leaks, Realme 3 Pro has Qualcomm Snapdragon 710 processor & a primary rear camera with Sony IMX 519 sensor ( the same sensor that’s there on the OnePlus 6T). So, are you excited for the Realme 3 Pro’s launch? What do you think the price would be? Do let us know your guesses in the comment section below.